Weighty Matters: The good, the bad and the ugly of Canada's recent sodium working group. The good, the bad and the ugly of Canada's recent sodium working group. 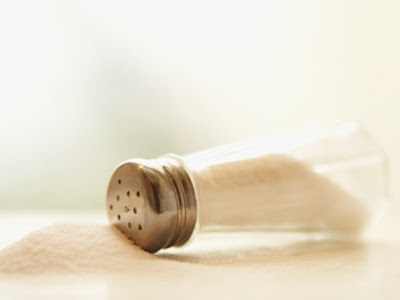 Last week saw the release of the recommendations of Health Canada's Sodium Working Group (SWG) - a "multi-stakeholder" group with representation from public health folks, health related NGOs, the government and the food industry. The group was established in October 2007 and it's taken them nearly 3 years to come up with a series of recommendations meant to tackle the problem of sodium intake in Canada. Overall, I was pleasantly surprised by the recommendations themselves, though not by their lack of regulatory backing, and in fact I think some are more important than the media's given them credit. The SWG's recommendations that Canada's Food Guide be revised to provide guidance on calories (and sodium) and updated far more frequently are exceedingly important. They're important because they're the first official admission that the 2007 Canada's Food Guide leaves much to be desired. So much so apparently, that a "multi-stakeholder" working group on sodium decided to make it a point to point it out. I was also pleased to see a call to action for nutritional fact panel reform so that there would no longer be such things as serving sizes that suggest they're a third of a cookie and that the percent daily value of sodium be calculated using the goal of 1,500mg rather than 2,300mg. The working group's recommendations are completely toothless. They couldn't even get the food industry to agree to a regulatory approach to the reduction of sodium in toddler foods. Of course that's not particularly surprising given the food industry was effectively given veto power at the table which is I suspect also why it's taken nearly 3 years for the SWG to come up with their recommendations. By creating a, "multi-stakeholder" working group, Health Canada has continued its maddening and reckless practice of including the food industry at tables whose discussions and recommendations are meant to serve public health. "Effectively Health Canada has asked the food industry to help guide public health policy"
because as this person described it to me, industry made the process exceedingly challenging whereby even the smallest victories necessitated industry catering compromises. Anyone else out there think it's horrifying that Health Canada most assuredly believes the food industry's interests are as important a consideration in the creation of public policy as is our health? Stay tuned tomorrow for a, "what's in it for the food industry post" regarding the SWG.